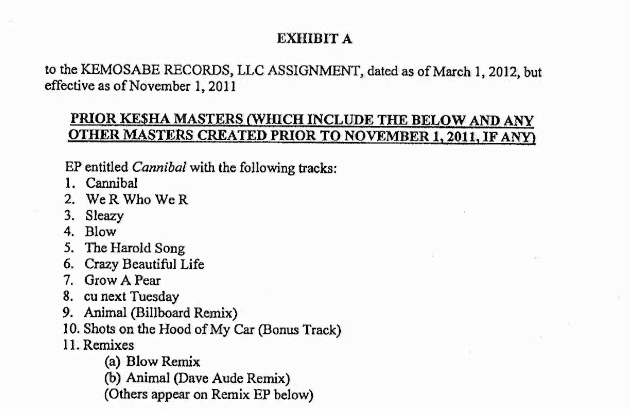 It's from the agreement between Kemosabe and RCA, at the end there's this list of her published songs, I think they put an old tracklist because Cannibal was out since more than a year. the rihmix album is the one sold in Japan and in Australia. its official. I like IATDCAICYTD*, but I always thought it was kinda funny that it was promoted as a "dance remix" album for songs that were already dance songs. Yea, I think I'll do that from now on. Imagine saying IATDCAICYTD out loud, what a time saver that would be. @Plenty of beer where did you get the full documents? I absolutely love this song! But it's hard to tell what is the real version. There's so many different versions with various speeds and pitches. The one in the masterpost is the proper pitch. Also if the pitch is wrong you can sorta tell, especially if you've been listening to an artist for a while. That site is beautiful They don't have all the demos though i don't think. Like some really strange ones, like the starving demo.